We've had a busy week over here at Shacknews preparing for Black Friday 2017. Not only does this sales event encompass some of the biggest discounts customers are likely to find all year, it's also one of the best times to pick up new video games, consoles, PC hardware, and technology in general. Naturally, this mean's we've been preparing loads of handy guides to all of the best Black Friday 2017 deals, the likes of which our readers have likely seen over the past several days. Even better, we're prepared to bottom-line some of the biggest discounts mobile and handheld fans can look forward to later this month in a rare bit of Modojo Rewind-exclusive advice. While a lot of the discount prices we've seen on various games and technology have been largely equal among competitors, there are a few deals that are more equal than others, as they say. This Black Friday, it looks like Walmart is going to be leading the Nintendo Switch pack on the new Legend of Zelda: Breath of the Wild Explorer's Edition — the retail giant has already cut the price of the new game bundle down to $49.99, besting other deals from Target and Best Buy by $10. On the flip side, Best Buy looks to have the best prices on Nintendo Switch games, with 1-2 Switch, Super Bomberman R, and Sonic Forces all selling for $24.99. And in further good news, it seems most retailers will have a good stock of Nintendo Switch systems all available for the $299.99 retail price. As for the rest of the deals, head over to our Nintendo Switch Black Friday 2017 guide. Retailers have also been showing love for Nintendo's sometimes-3D-enabled handheld. Most major electronics retailers that have released ads so far will be stocking the new Zelda-themed 2DS for $79.99; Walmart offers the top discount by lopping a full 99 cents off the MSRP. Target will be offering copies of Pokemon Omega Ruby and Alpha Sapphire for $24.99 each, and the same sale price will apply to four other games as well — to discover which, check our 3DS Black Friday 2017 guide. There will be some beefy discounts on Apple products, too: Best Buy will have the new iPad Pro 10.5" 64GB at the lowest price of $524.99, undercutting Target by five bucks; however, Target will be selling the Apple Watch Series 1 for $180, beating Best Buy's price by 20 dollars. Several deals have been extended to the new Apple TV 4K as well as Beats headphones, too, so check out our Black Friday 2017 guide to all things Apple to see which products will be available. Now that we've got the biggest headline deals out of the way, we can get back to our regularly-scheduled programming. With the turn of the new month came the third and final rotation of the Legendary dogs in Pokemon Go; North American players can expect to battle and capture Suicine all November long. In addition, players can look forward to a number of changes to Raid Battles, including the first-ever refresh for the Raid Battle roster. In related stories, it seems a Square Enix representative likened the Switch's core architecture to that used by the PlayStaiton 4 and Xbox One, which means developers ought not have too much trouble trouble porting their console games to the Switch. Unfortunately, it seems Monster Hunter: World won't likely be coming to the Switch, as the development team at Capcom intends to produce the latest game for the two consoles they'd had in mind when development began. As for all things shiny and new, Square Enix Montreal has revealed that Android fans can download Hitman Sniper entirely for free over the next week, which is certainly not a chance to miss out on. Doom also landed on the Switch this week, which is big news all on its own — be sure to read up on how the portable formula fitstogether with fast-paced Doom gameplay by checking out Shacknews' Doom on Nintendo Switch review. Lastly, we've also discovered an all-new Switch carrying case by American manufacturer WaterField that's a step ahead of the competition with regard to style, materials, and design; check it out in the video below. That's it for us this week, everyone. 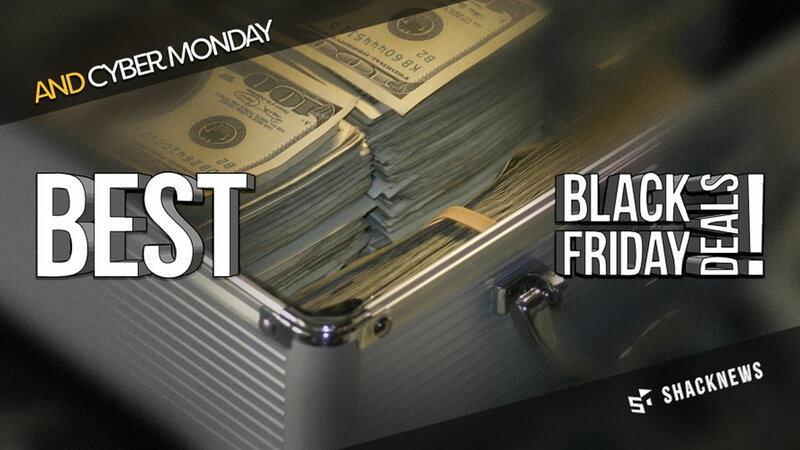 To stay on top of the latest in mobile and portable gaming as well as the hottest news in the industry, keep it tuned right here to Shacknews — and don't forget to stay on top of all of our Black Friday content by heading over to our guide to the best Black Friday and Cyber Monday 2017 deals.